The best way to get organized and keep on top of all of the things you would like to accomplish is to keep a to-do list. You can put your to-do list in your calendar, you can use an app, or you can write it all down on a paper to do list. If paper is what you prefer- here are 15 perfect (and pretty!) 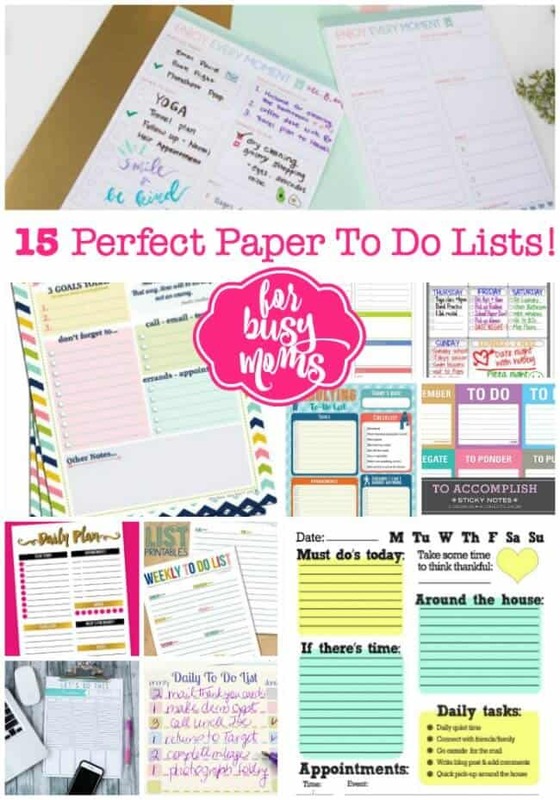 paper to do lists for busy Moms! 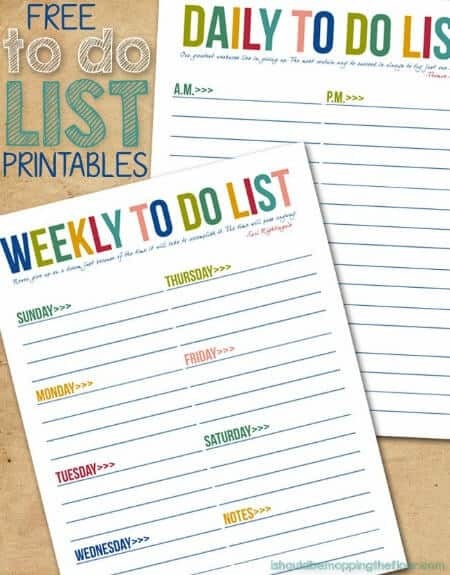 Personally, I love to use a paper to do list to keep my one long Master To Do List, and then each day I like to write out a small daily to-do list to work from. 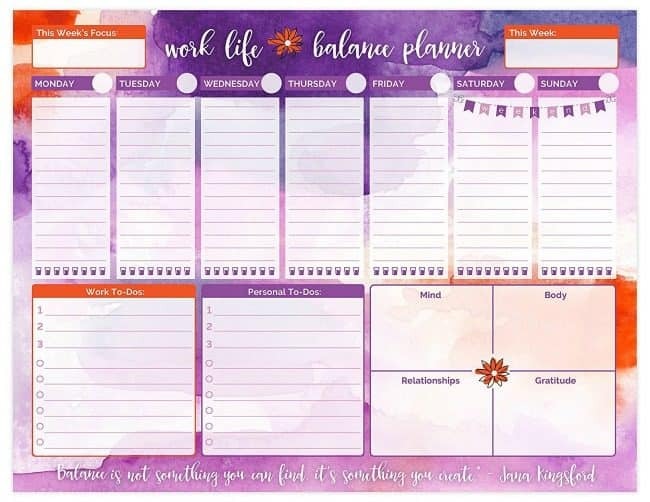 I recently switched to this weekly work-life-balance planner and I absolutely love it. I use the bottom section at the beginning of the week to lay out my intentions- projects I intend to tackle for work and in my personal life, and it gives me a space to put some thought into what I am going to do for my mind, body, and relationships, and reflect on what I am grateful for. Every morning I plan out my to-do list for the day using the top section of the page, crossing things off as I get them done, moving them forward to a new day if I don't. Approaching my to-do list with a whole week's view has been a great new strategy for me this year! 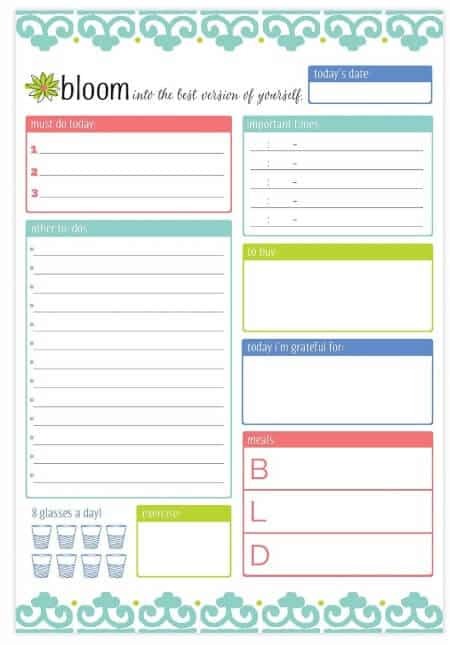 I love how this pad of daily planners from Bloom also keeps track of your water intake, a food log, and a place to record what you are grateful for! 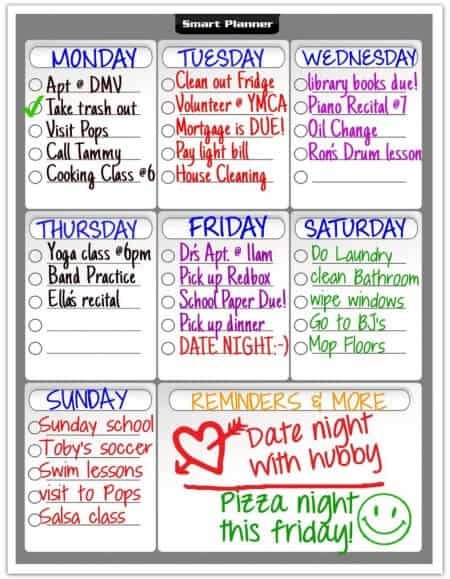 I am obsessed with these to-do list post-it notes that have little check boxes on them! 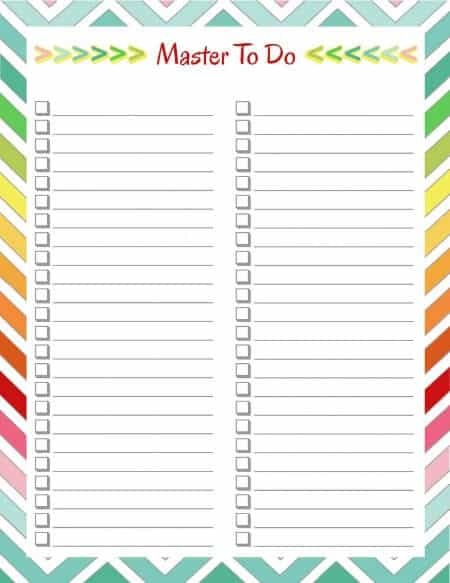 The easiest way ever to make a to-do list… and to assign to-do lists for others! 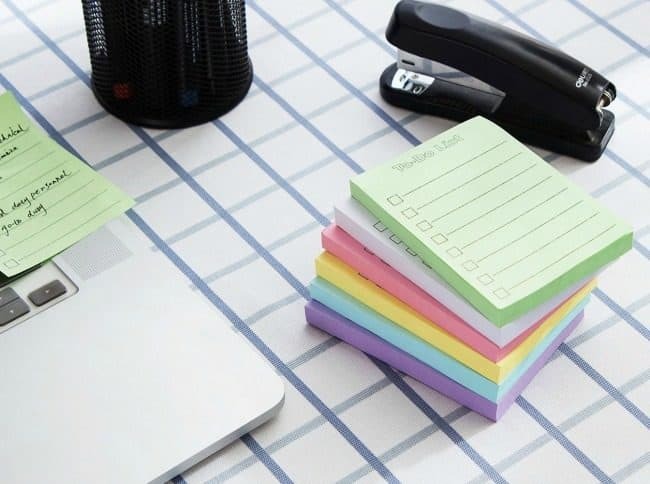 Are you a fan of working with sticky notes too? 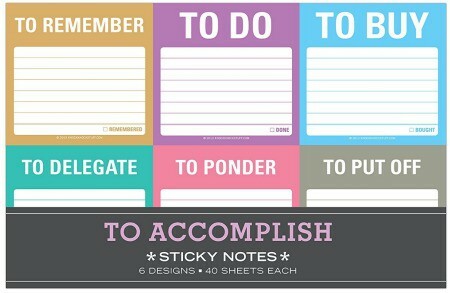 This pack of sticky notes is awesome for creating to do lists by category every day! 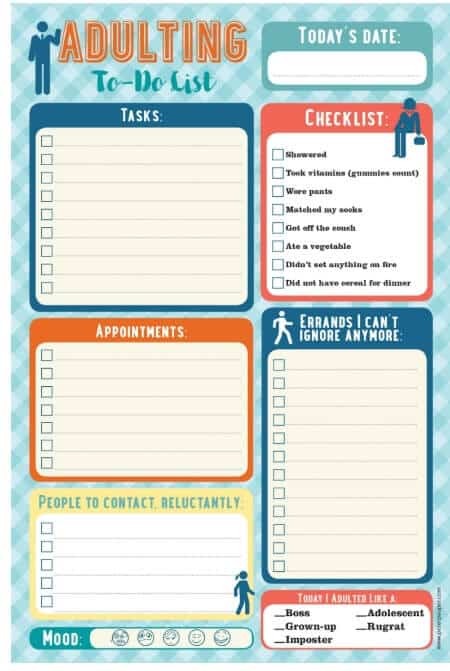 This adulting daily planner cracks me up! I probably wouldn't use it myself… but I would love to give it to my teens as a gift! 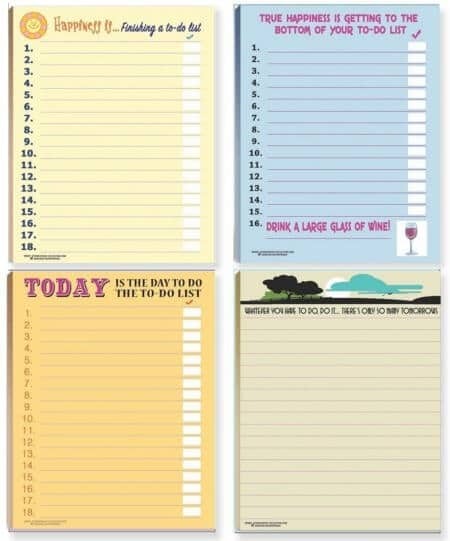 And I also like the idea of having a different to do list format depending on my mood! But guess which pad I will likely use up first? 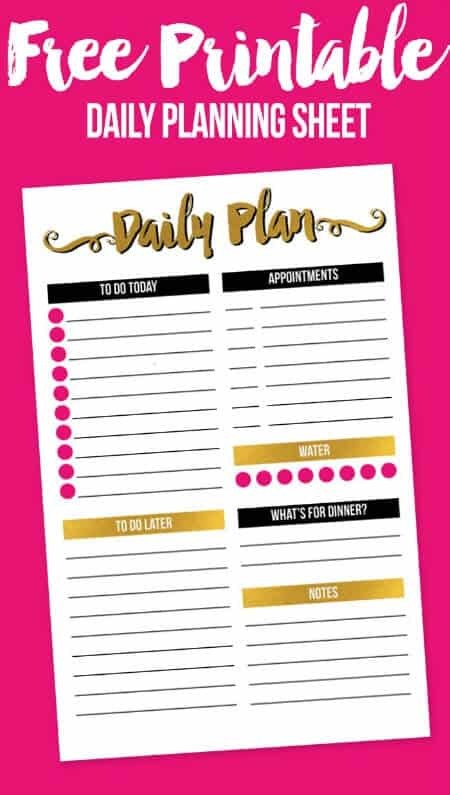 I love this daily planner printable from I Heart Planners which includes an area to keep track of notes and “things to do later”. 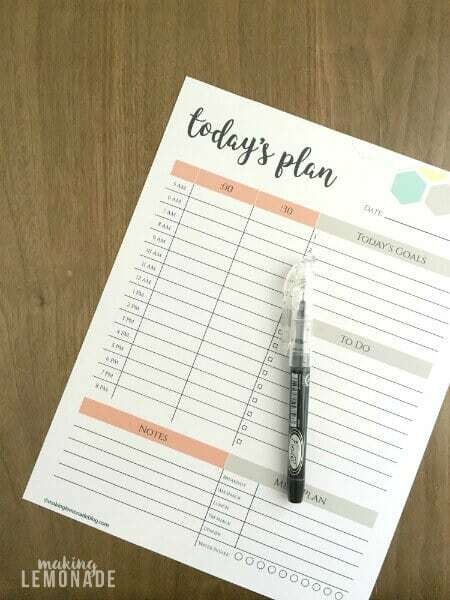 I love all of the different sections of this printable to do list, and you can easily upload it to PicMonkey to customize your own “Daily Tasks”. Or Melissa from Loving Here is happy to customize it for you for $5! Whether you prefer a daily to-do list, a weekly to-do list (or both!) I Heart Napping has these free printables that give you just the basics! 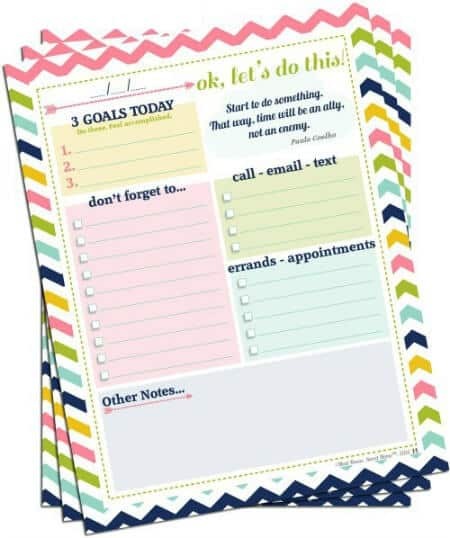 I love how this printable from Neat House Sweet Home has a spot for 3 goals for the day- such a smart way to both focus and limit how much you attempt to take on! 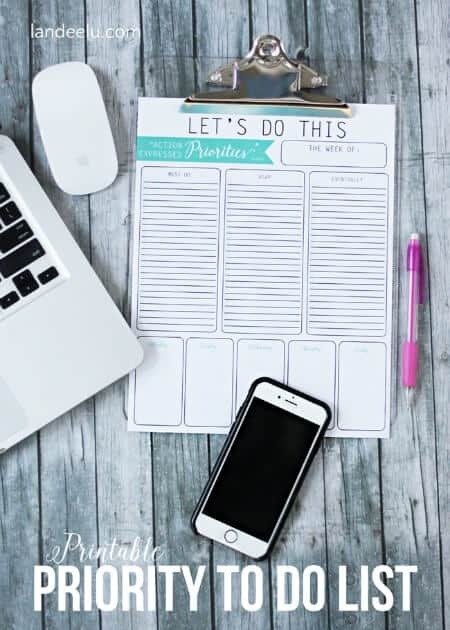 Love this weekly format for your to-do list (from Landee See Landee Do). 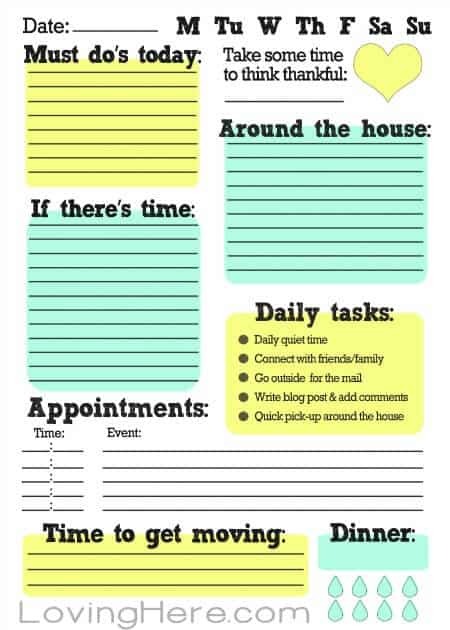 And I am going to start using this free printable from DIY Home Sweet Home for my Master To-Do List! 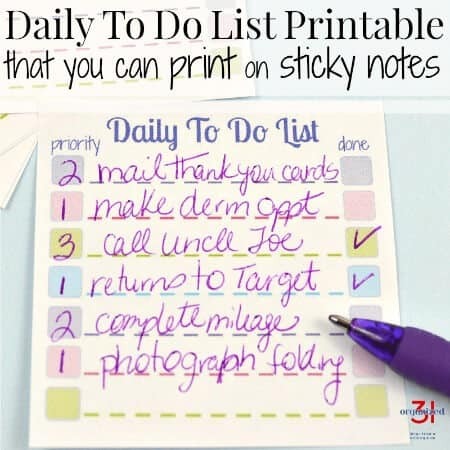 I already shared that I am in love with sticky notes that are also checklists… and I love that Organized31 has come up with her own way of printing to do lists on post-it notes! « 5 Steps to Managing Your Things To Do List!